Listen to Karl Schieneman, Founder and President of Review Less, a predictive coding consultancy, take a special look back on the E-Discovery Board Game he built in 2005 as he is joined by some of the experts featured prominently in the game. Joining us are Kevin Esposito – the million dollar bill, Jim Michalowicz – the $500,000 bill, Jim Daley – the $100,000 bill and Tim Opsitnick – the $50,000 bill. The purpose of the show is to look back at how we saw issues back in 2005 when we built the game and then look forward to 2014 and see if we see things the same way now. What was remarkable about the show is how we still deal with many of the similar issues we had back then. This was an outstanding show with some of the elder statesmen in the E-Discovery field. Since we are all good friends, the discussions were both comfortable and entertaining. This is one of our most informative shows ever. 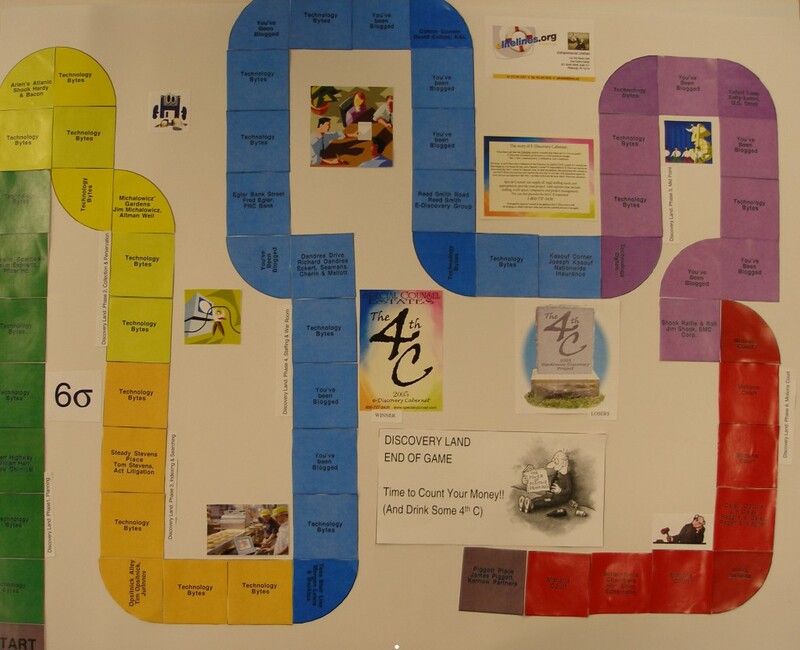 It is also the first time we have worked together with Discovery Land since we did some CLEs using the board game in 2007.